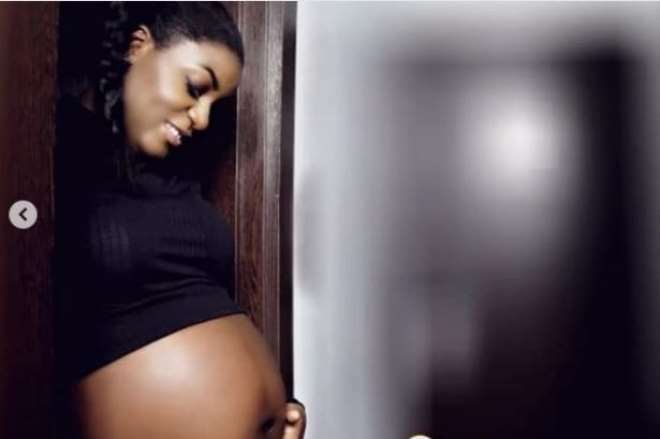 Hmm, so we are beginning to see how some of our celebrities are now keeping secrets like those in the Nollywood industry as news has it that Nollywood actress, Queen Nwokoye, has just welcome a baby girl. Aside some of her industry colleagues, her fans were never aware that the actress was pregnant as she ensured that she kept everything a secret. The good news from her camp has it that the actress and her hubby have just welcomed a pretty baby girl as mother and daughter are said to be doing fine. She has now shared her baby bump photos showing how her journey has been as she thanked God for the nine months journey.